The Appeals Committee into the ward congresses of the All Progressives Congress (APC) in Imo state has over ruled the state governor, Owelle Rochas Okorocha and members of the state House of Assembly that ward congresses did not take place in the state. 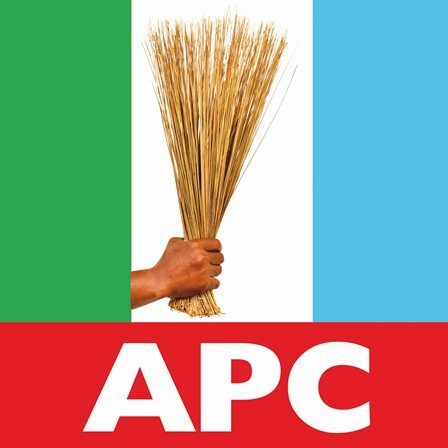 However, National Publicity Secretary of the party, Mallam Bolaji Abdullahi said the party was yet to consider reports from any of the states. In a report submitted to the National Working Committee signed by the chairman of the three man committee, Senator Abubakar Tature and one other member, Ikenna Uzoka, the committee none of those statutorily qualified t9 petition the committee to complain against the conduct of the exercise did so. But the Speaker of the Imo state House of Assembly, Hon. Acho Ihim who led other members of the legislature in the state to the national secretariat of the party told newsmen that no congress held anywhere in the state, pointing out that since there was no congress, there was nothing for them to petition against. The state governor, Rochas Okorocha had earlier met President Muhammadu Buhari and Vice President, Yemi Osibanjo to protest alleged malfeasance during the last two congresses in his state and to demand its cancellation. The Appeal committee however rectified the ward and local government Congresses held in Imo state and dismissed the petition by aggrieved stakeholders on grounds saying the petitions submitted by them and the state governor lacked merit. Part of the report reads: “that the congress committee whose duty was to conduct the congress election affirmed that the election took place. That the state party chairman and his deputy affirmed that the elections were duel held in All the 305 wards of the state. “That the person’s who would have the right to petition over the conduct over the ward congress election are those qualified to contest the congress having purchased the forms. “That the petitions were written by unqualified persons and therefore would be construed as lacking the locus standing/basis to bring in any petition and that the video evidence by the petitioner was an incidence that took place in a private residence which was not which was not a ward congress voting venue. However, Speaker of the Imo state Assembly who led some members of the House of Representatives and 24 members of the Imo state House of Assembly to a meeting with the APC National Chairman, said they had come to the national headquarters of the party to protest the conduct of congress in Imo state. He said that they mobilized the 24 members of the State Assembly in order to show how serious the matter is to the party stakeholders in Imo state, adding that the lawmakers and governor still has implicit confidence in ability of the NWC to resolve the issues at stake. He said: “We are here to reaffirm that there was no Congresses in the 305 wards in Imo and we demand that a categorical statement be made by the party for a new date that fresh Congresses of the party will be held. “As for the discussions we had with the national chairman, that was an in-house thing but we have affirmed our stand with our governor, we are still standing with our governor. He is the face of the APC in the South East. Of course the young man has done so well that without him, there would have been no APC in the South East in the first place. Imo state in particular is the fulcrum of APC and it cannot be toyed with. “We demand that the constituted statement and announcement be made about the congresses that did not hold. The new date should be announced and the whole things should be ratified and there will be peace in the state. “The shenanigans that we saw can never be taken for congresses. We are taking this very seriously, and that is why honourable members of APC extractions combined with the house of representatives are here to affirm same, that there was no congress and we never take to have been held and we here are saying that we support his excellency, Owelle Rochas Okorocha, ” he said. On the governor endorsing his son-in-law as the basis for the crisis within the APC in the state, he said: “You will agree with me that Uche Nwosu is qualified to hold Imo state. “One, he’s a bonafide citizen of Imo state of Nigeria and he’s of age, academically sound and the governor as a person endorsing his son-in-law, he has his preferences as a person, I have mine too and we all do. You too do. And as such, whoever you want to endorse, you too can endorse.